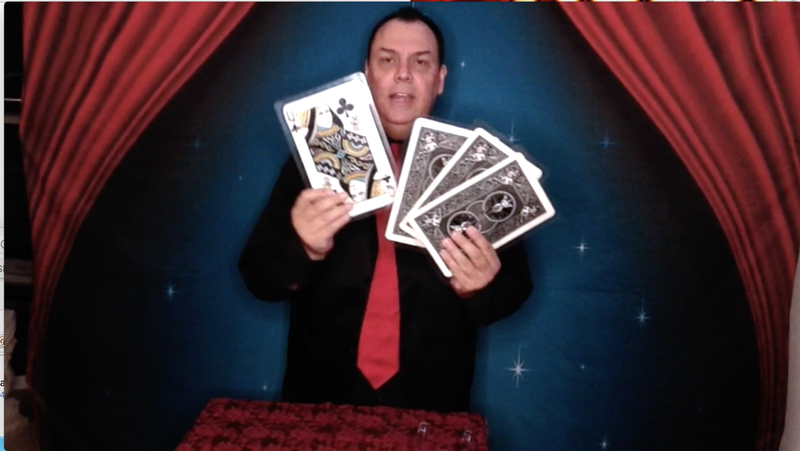 Carnegie Magic and The Steampunk Illusionist: Carnegie Magic Videos, Videos and MORE! Carnegie Magic Videos, Videos and MORE! 2017 has proven to by quite the year and I've done a most terrible job of keeping you up to date. Actually, that's only partially true. I've not done a good job on this blog, but if you look at Instagram, Twitter, Facebook and Pinterest, I'm ALL OVER THERE! And I'll soon be on other platforms as well. I started a project earlier this year called Weekly Wizardry. It was on Facebook and the plan was to do a weekly magic video every week in 2017. It was going along splendidly when, out of the blue, I came down with Rocky Mountain Spotted Fever in March. At that point I fell behind and didn't resume the videos until June. In order to get caught up I was doing daily videos for a while, and I'm happy to report that I am all caught up and current. The video above is episode 37, the latest, and in the video I demonstrate a routine that I've performed for many many years in my live shows. It's a great routine, though I must admit, if you see my LIVE show, you'll see a different presentation....same effect, but the presentation is very different.